Our CRM for Lawyers focuses on client retention, lead management, and client intake. Our CRM solution is ideal for filing dates, courting dates, tracking clients, and managing contact requests. You can access and share information from anywhere, anytime with our CRM for Lawyers. Extractingclient information and creating analytics reports is easy with our customized CRM solutions. This helps users in improving the profitability of their law firm. CompanyHub’s goal is to help the law firms in tracking their prospective clients’right start. 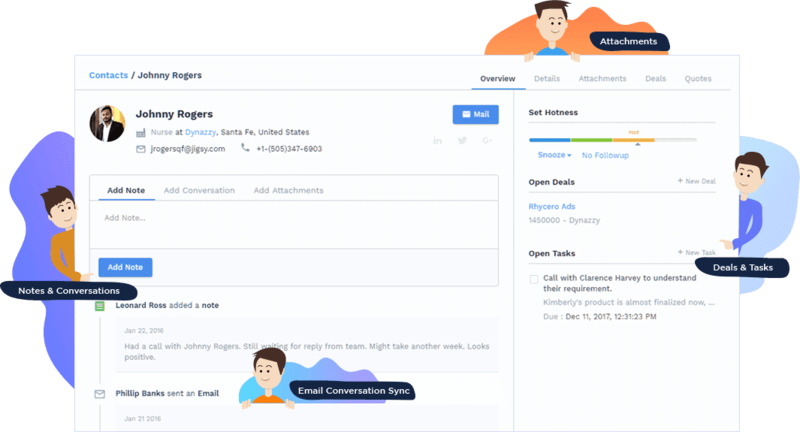 Company Hub’s CRM for Lawyers isn’t limited to customer relationship management. From saving important data to tracking important dates and filing deadlines you can automate a number of tasks using this system. task management and many other tools that help in streamlining the whole process efficiently. Our CRM is integrated with legal practice management systems that facilitate the users with comprehensive solutions customized for the particular needs of the Law firms. while managing clients and leads.